Nothing in the built world captures the imagination like the skyscraper. Behind every soaring tower stands a designer with courageous vision and enough engineering know-how to pull off incredible feats of architectural derring-do. Who Built That? Skyscrapers is a colorful tour of the world's tallest buildings and the larger-than-life personalities who built them. 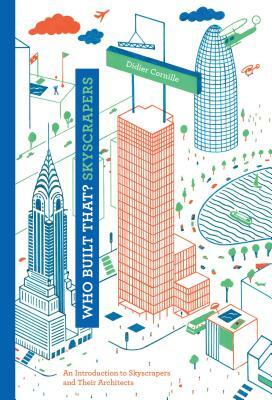 Beginning with a brief biographical sketch of each architect, illustrator Didier Cornille imaginatively depicts the construction of eight of the world's most impressive skyscrapers. From Gustave Eiffel's Eiffel Tower (1889) in Paris and Mies van der Rohe's Seagram Building (1958) in New York City to the tallest man-made structure in the world, Adrian Smith's Burj Khalifa (2010) in Dubai, this primer will introduce readers of all ages to new heights of architectural wonder. Didier Cornille is a designer, illustrator, and professor at the École des Beaux-Arts in Le Mans, France.